These Wholesale Monitor Stands that Support 37" TV Brarckets and Larger are Heavy Duty Displays! These Monitor Stands are Constructed of Steel! Buy Online Today! 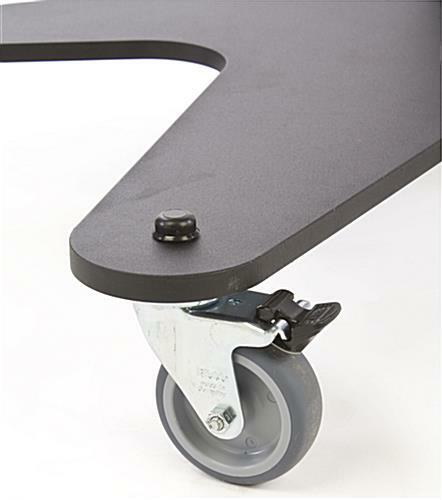 TV stands have locking casters for stabilization after transport. 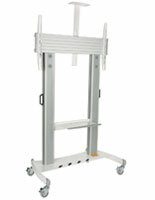 Plasma racks hold a 37"-60" television weighing up to 176 lbs. 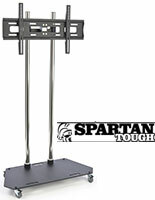 Steel TV stands with casters are heavy-duty for years of use. 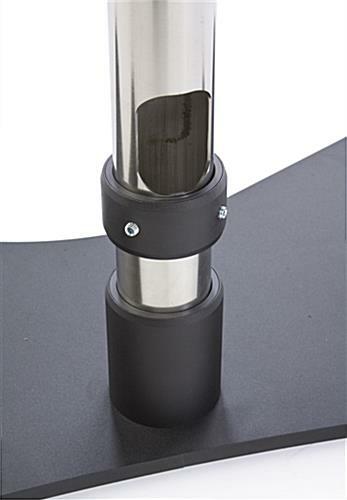 VESA-compatible for: 100mm x 100mm, 200mm x 100mm, 200mm x 200mm, 300mm x 300mm, 400mm x 200mm, 400mm x 400mm, 600mm x 400mm, 800mm x 200mm, & 800mm x 400mm. 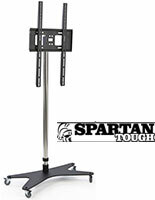 Spartan TOUGH displays are our highest quality stands, made of chrome-colored steel with black trim. 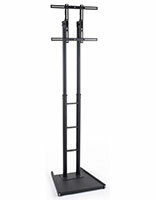 Plasma mounts, LCD television stands with natural finish, and other portable monitor stands have a tilt mount that attaches to monitor to the stand. This bracket enables a displayed television to be angled for the best view. The black flat screen displays, monitor stands are shipped unassembled. Instructions and tools are included with each TV mount for fast and simple assembly. The black and chrome finish on these monitor stands for 60" TVs and larger blends well in every setting. 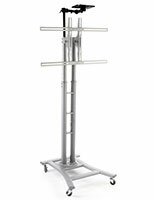 The required hardware to mount most televisions is included with each stand. Some monitor stands may need special screws that are available at a local hardware store. The heavy duty monitor stands have wheels that lock. Freely move the unit from one room to another and then lock the wheels to keep the stand in one place. 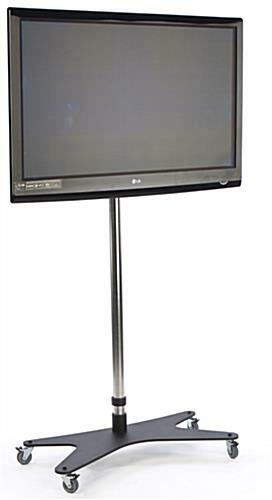 These LCD monitor stands hold a 37"-60" television that weighs up to 176 lbs. The VESA brackets are engineered to hold a variety of brands of televisions including Samsung and Toshiba. Televisions with a VESA size measuring between 100mm x 100mm through 800mm x 400mm are able to be mounted on this display. 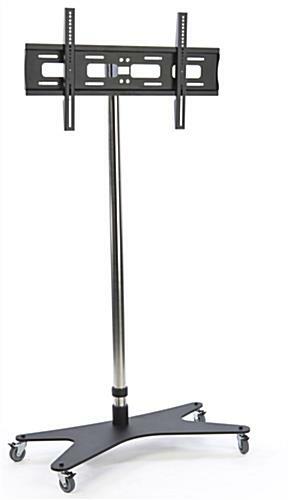 The steel monitor stands are extremely durable units and built to last. 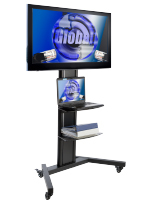 This monitor display is perfect for use at trade shows, conventions, and other heavily trafficked areas. Buy monitor stands that support 37" TV mounts online and save! 38.8" x 56.0" x 19.0"